Honda has a long standing reputation for making excellent cars at great prices. 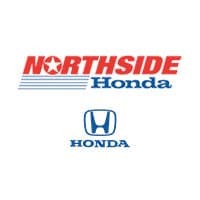 Here at Northside Honda we have been upholding that tradition of excellence for over 40 years. If you are in the market for a great new Honda we’ve got you covered. Our dealership offers all of the 2018 and 2019 models you’re looking for. Make your way to our dealership in San Antonio to see all of our new vehicle options. We are proud to serve San Antonio and our surrounding areas; New Braunfels, San Marcos, Austin, the Rio Grande Valley, Corpus Christi and Laredo. Our dealership combines a hard working, knowledgeable staff with an advanced service center to be one of the best Honda service departments in San Antonio. From something as routine as an oil change to a procedure as serious as a transmission replacement you can feel safe knowing that your vehicle is in the careful hands of Northside Honda’s top rated staff. Visit us in our state of the art facility for all of your vehicle repair and maintenance needs. Located in San Antonio and also serving New Braunfels, San Marcos and South and Central Texas.